The Dow Jones has finally slowed down. And this is already a news. 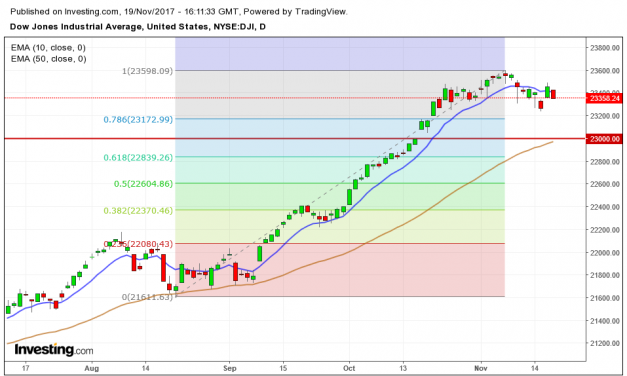 After several weeks of basically uninterrupt run, it seems to have found a ceiling at 23600. A close under the 13K level. What can it trigger? The Dax didn t close under the 13K milestone since October. 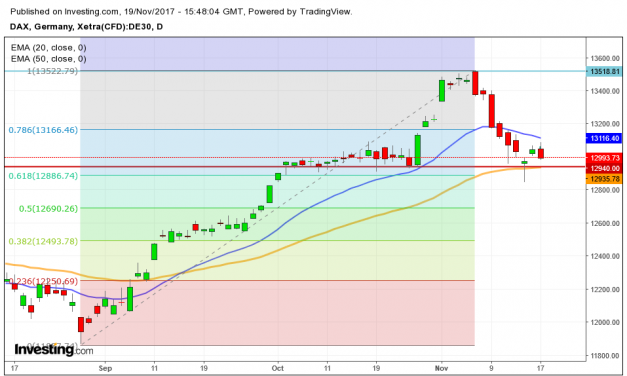 November has been a bullish month until next week, where the DAX kept on addin all time highs up to the 13500 mark. This site is devoted to share ideas and strategies/ trends on different markets. A contribution is welcome regarding main indices or commodities.I mostly cover DAX, Gold and US indices. However I will analyze any other index or share at my will as I use my own methods, my own ideas and my own money.